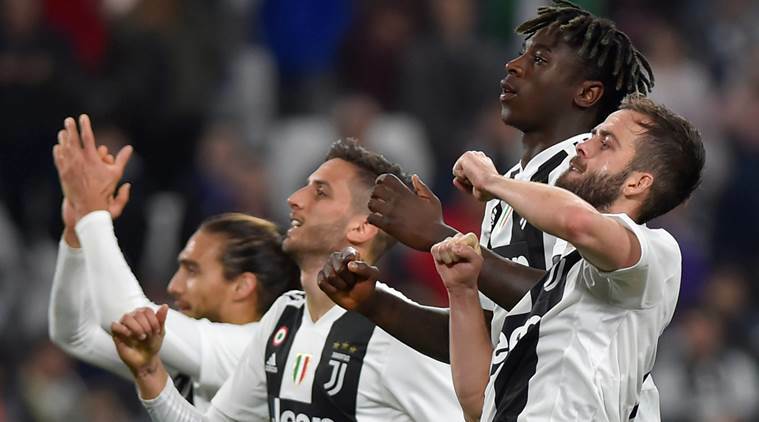 Juventus will have to wait at least another day to secure a record-extending eighth straight Serie A title after its second-string team was beaten 2-1 at relegation-threatened Spal on Saturday. It was a first top-flight win over Juventus for Spal which has gone through bankruptcy and been refounded twice _ in 2005 and 2012. With the second leg of the Champions League quarterfinal against Ajax on Tuesday _ after a 1-1 away draw in the first leg _ Allegri rested a number of players, including Cristiano Ronaldo. He also handed defender Paolo Gozzi, 17, his Serie A debut. Edin Dzeko scored his first goal at home in a year, following a fine flick from Stephan El Shaarawy, as Roma beat Udinese 1-0 to move into fourth spot. Dzeko’s previous seven goals this season had come away from the Stadio Olimpico. Roma moved two points above AC Milan and Atalanta. Lazio is five points behind Roma but has played a match less than most of its rivals and visits Milan later Saturday.